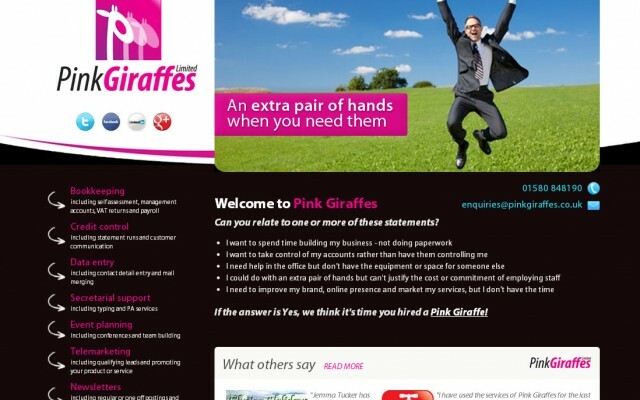 Pink Giraffes offer administrative and business support services to sole traders and small to medium sized businesses. We can provide assistance on a full-time, part-time or ad hoc basis, help with a one-off project or arrange maternity, holiday and sickness cover. Our services save you the cost and commitment of staff overheads, reduce agency fees and allow you to use your time more cost effectively. Pink Giraffes want to enable you to do what you love, after all it is probably the reason you started your business! 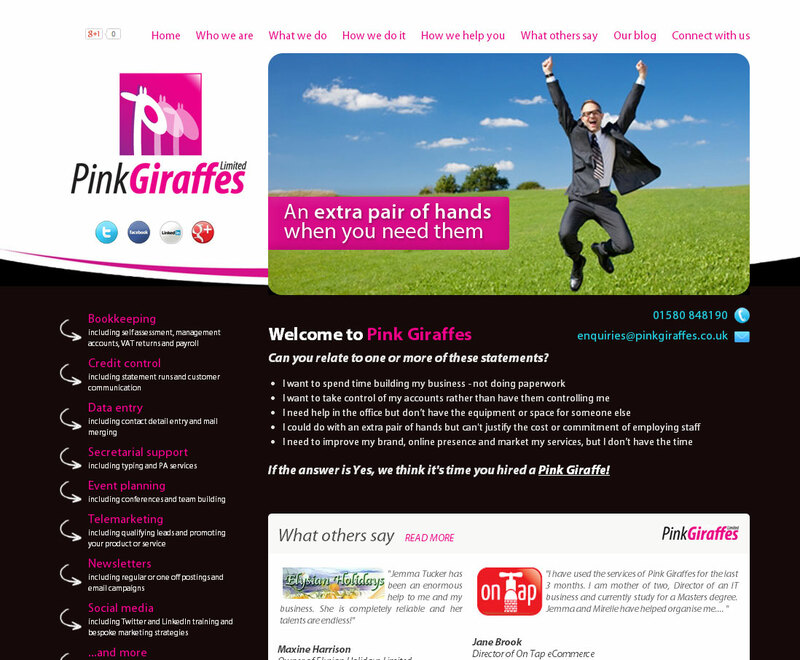 Visit the Pink Giraffes website for more information.